Contemptuous conduct, which Section 10.51(a)(12) broadly defines as abusive language, false accusations, and/or malicious statements. Disbarred attorneys, non-practicing accountants, and other unlicensed professionals who collect fees to do taxes may also find themselves at the center of a paid tax preparer investigation. 31 U.S.C. 333 prohibits anyone from implying that the IRS in any way endorses or approves of their services or activities. While not as common as the other two areas discussed, there are a surprising number of these incidents in paid tax preparer investigations. Typically, advertising disclaimers are not clear enough or the preparer uses a prohibited IRS logo. Due diligence is not a guarantee that the EITC calculation is 100 percent true and accurate, but rather a guarantee that the paid tax preparer has done everything within reason to ensure accuracy and reliability. 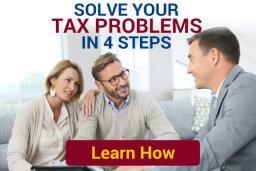 I hope you found these 3 reasons why the IRS will audit a preparer helpful. In a future post, we’ll examine more aspects of paid tax preparer investigations, including IRS methods, the possible penalties, and some possible resolutions.